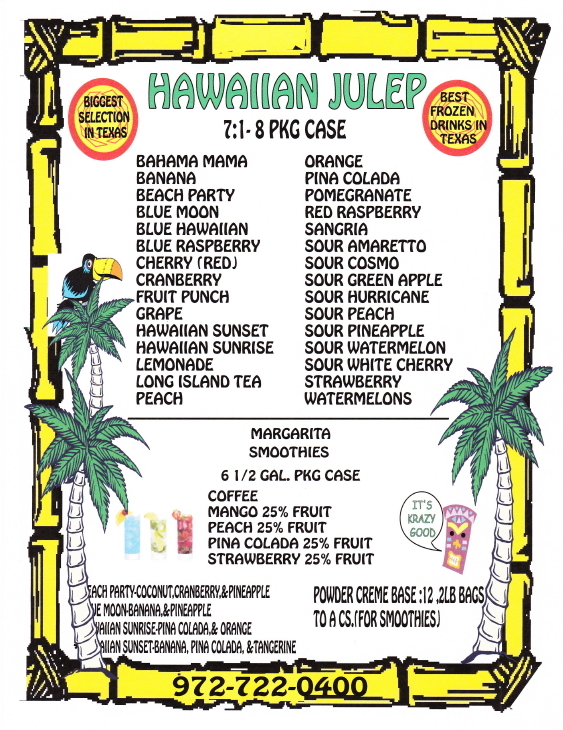 Hawaiian Julep | Frozen Drink Mixes & Equioment | 800.880.6655 | The Best in the Business! Who doesn't love smoothies? 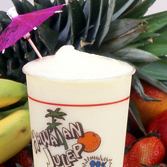 Get the frozen beverage equipment you need to make delicious and healthy smoothies from Hawaiian Julep. Our company helped begin the smoothie craze in 1990 by specializing in frozen non-dairy, 99% fat-free fruit smoothies using vanilla and chocolate crème base with more than 70 flavored concentrates to choose from. 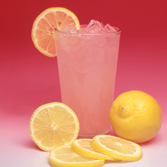 Contact us to learn more about how to make frozen lemonade and other flavors with our beverage equipment. Look for our beverage equipment producing great frozen lemonade and other smoothie treats at State Fairs and Flea Markets. These events are great markets because of the exceptional taste of Hawaiian Julep and our bright colorful promotional materials. and Frozen Drink information you need!